Jaidis Shaw, author of Destiny Awaits, recently highlighted Painted Black on her blog Juniper Grove and offered a contest to win free copies of the e-book version. I just emailed their prizes to Jennifer and Kelly. 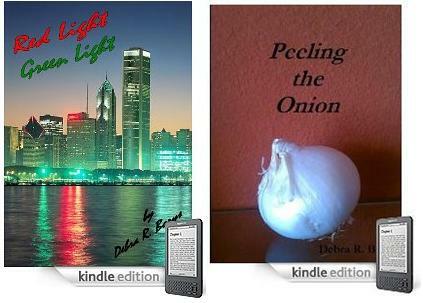 I hope they enjoy the book and will review it on Amazon or Goodreads. This makes eight books that have been won on various online contests. if you want to host a giveaway on your blog or website, please contact me here and we can set something up. 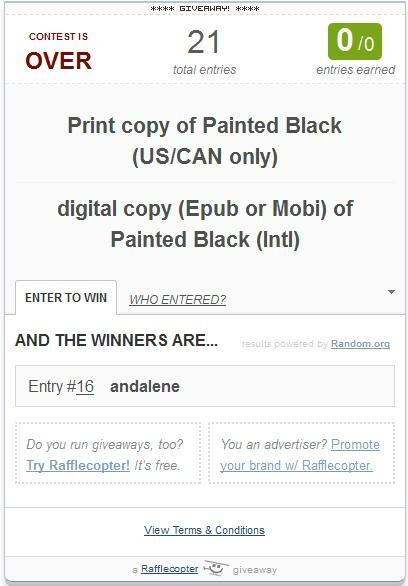 Andalene from Ontario won a free print copy of Painted Black on Laurie’s Thoughts and Reviews. Laurie’s Non-paranormal Thoughts and Reviews: Painted Black by Deb Borys: Character Interview & Excerpt.